D. Lawless Friends & Partners: Blue Moon Edition! This morning as I write the blue moon is in the sky but it's just on the horizon and I'll have to wait til tonight to see the full thing. Hopefully the clouds are gone! I love astrologically theming my posts. Not enough people look up in the sky. Everyone looks down and at screens and forgets the wonders above. I'll start off today with Allison from Allee Cat Designs with this nice little dresser that features a couple of our appliques for some added detail. I think it's the perfect touch. They really add to the piece and go great with the wide drawers! Next is Stacey from Renewed Spirit Home. I've had the pleasure of featuring a lot of Stacey's work in the past and this piece is another beauty! 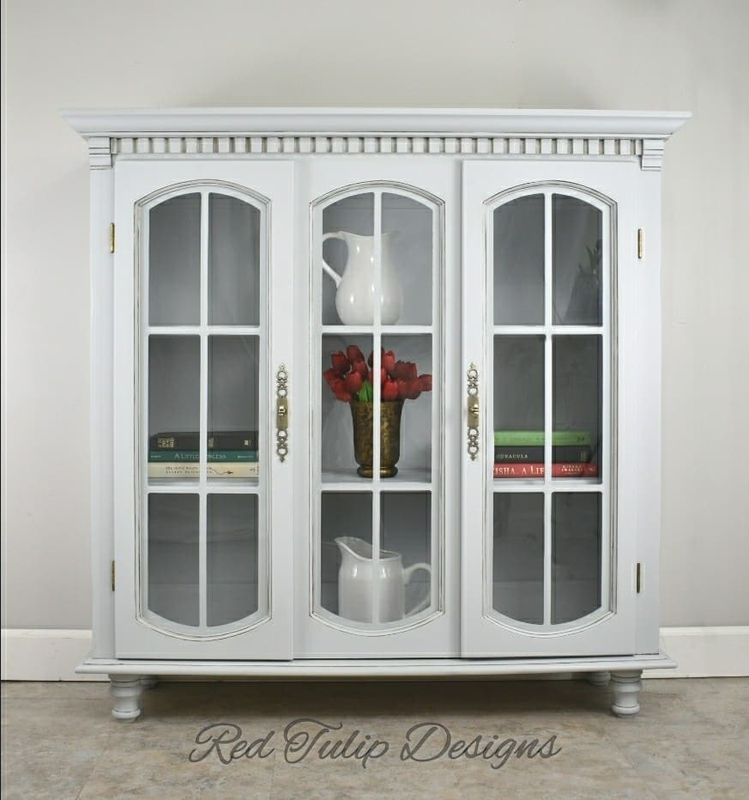 Stacey used the D. Lawless Depression Glass Collection in milk white and added them to this big red dresser. Very nice and a great touch matching the knob and pull ferrules to the brass hinges! And now a beautiful project from first time contributor Maria! 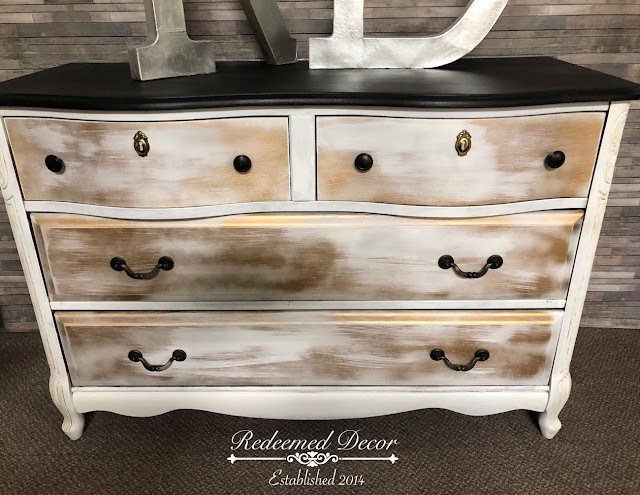 Maria runs the business and page Chalk Paint Charm and used our baroque style cup pulls on this distressed dresser and the result is fantastic!! So happy to have Maria in the group! And now another long time contributor to the group and the website! Heike from Serendipity Designs has sent in many gorgeous projects in the past and this one is no different. 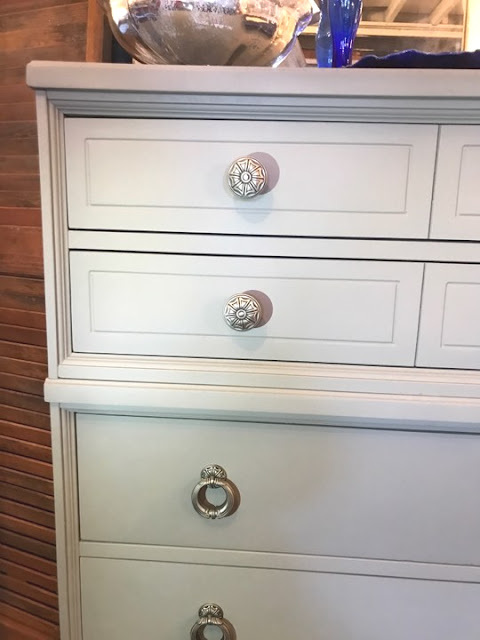 Perfect hardware choice going with the ring pulls and the matching chair is the icing on the cake! And last but not least, Jen of Wildflower Restorations took advantage of a free hardware offering a few weeks back and sent in this cute dresser featuring sage ceramic knobs. The knobs go perfectly with the print! And the owl on top is a nice staging touch! Thank you Jen! That's all for today! There is still time to see the big blue moon and if you are in the right place there is a full lunar eclipse tonight. Thank to the contributors and to the readers! Join our mailing list for more! January is almost already over! Time flies and the group keeps coming through with more beautiful work every week. Today I'm proud to show off five members who each submitted a recent completed project featuring our hardware. 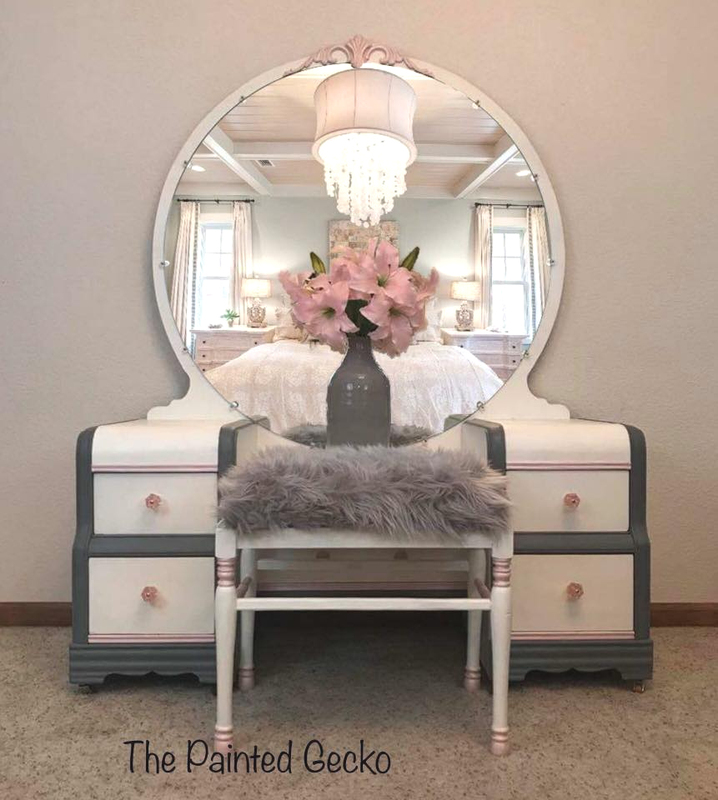 Top quality work and photography all around! I'll start with Jessica from Flipping Unbelievable! 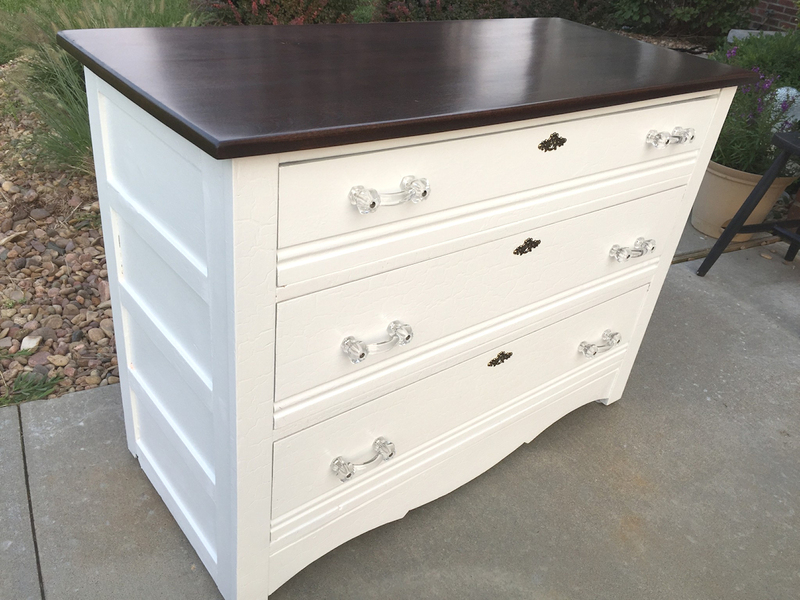 This dresser is absolutely stunning and the staging is top notch as well! 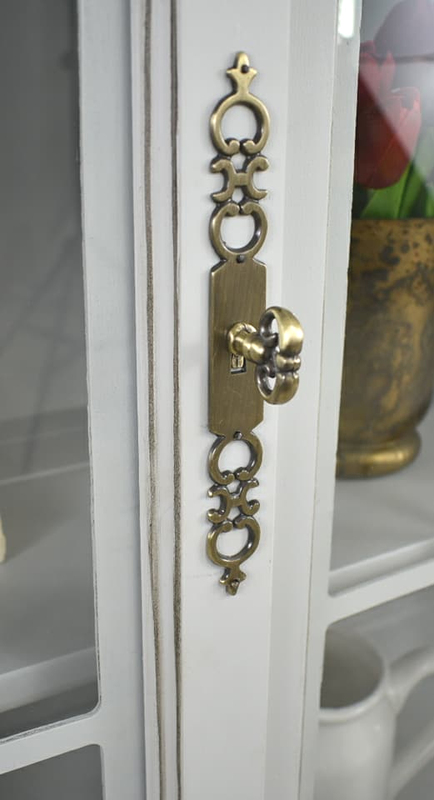 Jessica used one of our few pieces of French provincial style hardware and the result is fantastic. We are in the process of bringing in several other styles of French provincial as we really only have this pull and one other that qualify and we get asked all the time. 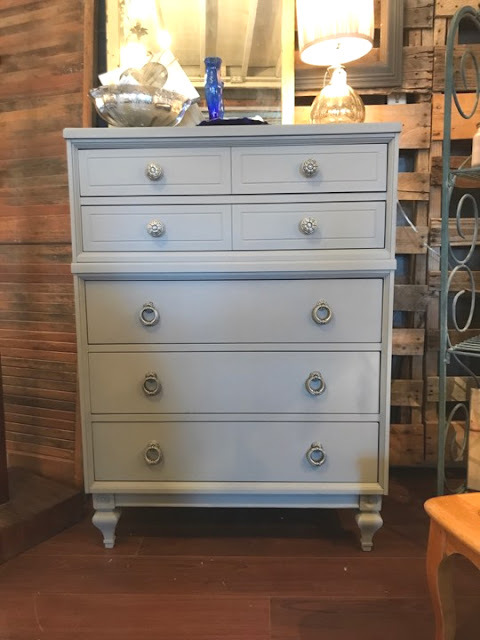 Looking at this dresser it's obvious we need more! Next up, first time contributor Beba of Bohemian Reverie! This piece is one of a kind, I love how bright it is and it takes some real vision to go out on a limb with the colors like this. 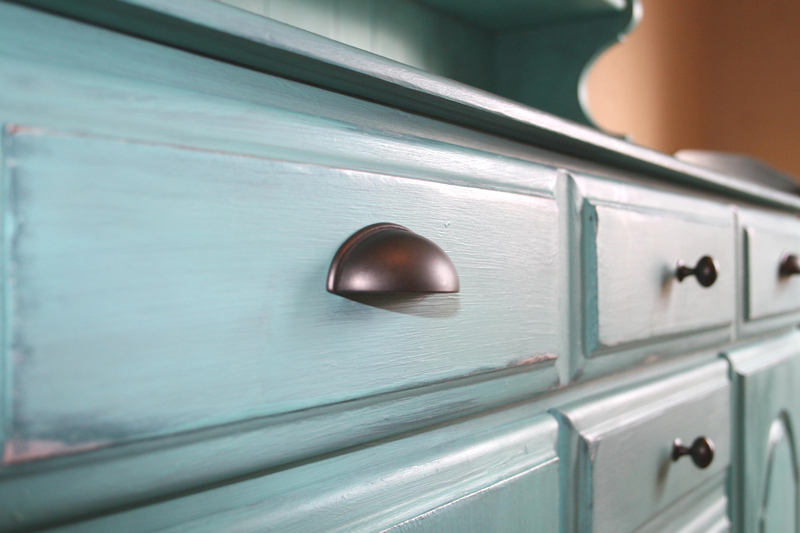 Top quality and our baroque verdigris cup pulls are the perfect fit! Kimberly from Red Tulip Designs came to me needing something with a backplate for this beautiful big china cabinet and I was not hopeful that my suggested backplates would work, it turned out wonderfully! 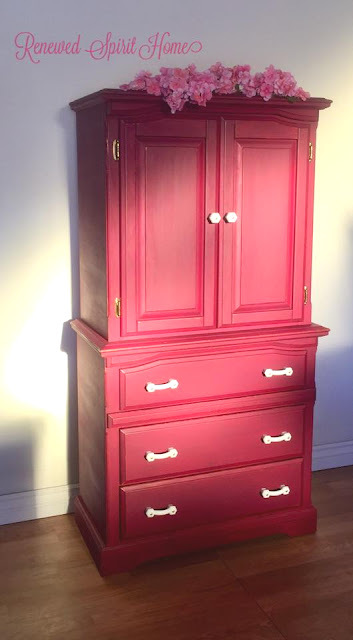 The knob and big backplates turned out to actually go perfectly with the big tall doors and helps give this piece a classic look. Very nice! For the last two projects we have a couple of members who took advantage of the free hardware section at the top! 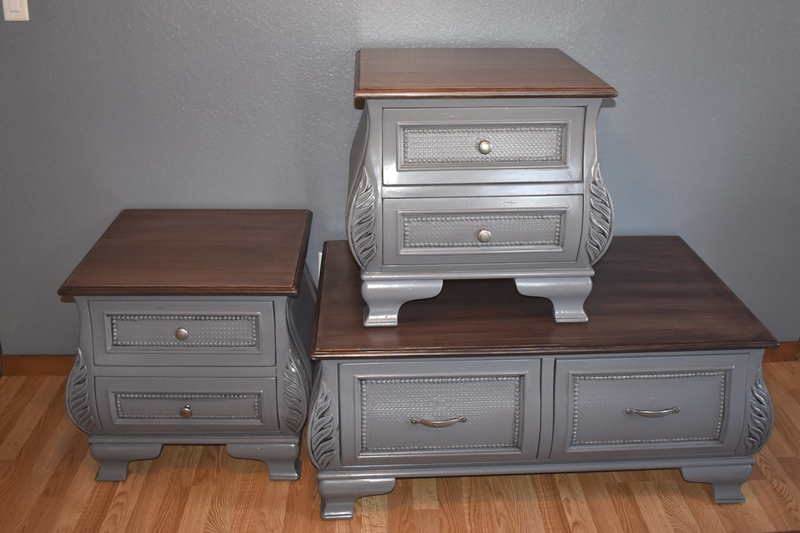 And our second participant, Tabitha at True Impressions Furniture, snatched up these beauties from the free section as well! 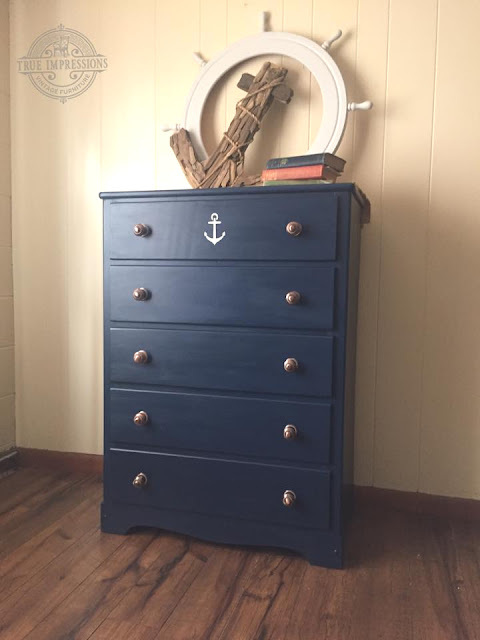 I really think the antique copper is a great match for the navy blue and they are the perfect touch to the nautical themed dresser. Very classy looking! I am a big star gazer and I love learning about constellations and the procession of the planets and stars and all that. So I was thrilled when Matthew from Combat Veterans Restoration and Rehab posted up this Orion's Belt themed dresser using some Liberty glass and pewter knobs for the main portion of the constellation and our little mounting ferrules for the rest. Beautiful! 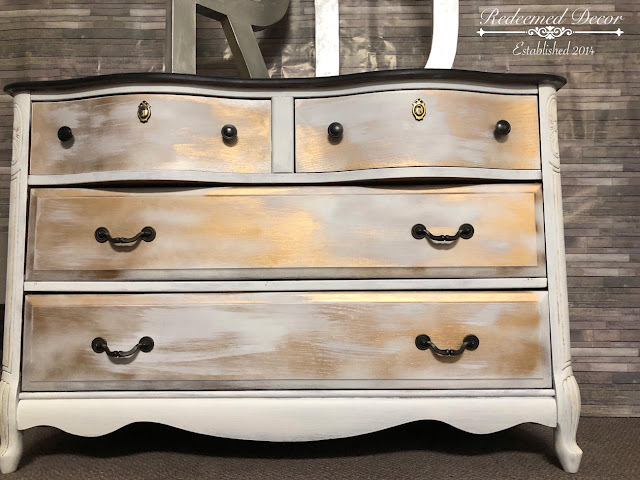 Next up, CeCe Caldwell, who of course has an amazing paint line, sent in this dresser makeover with matching hardware and of course a sweet paint job!! It's great to team up with another up and coming small business of course! And now we have Janet from Furniture Overload who sent in these couple of shots just this morning! It's gonna be a good day when pictures show up out of nowhere! She used our depression glass collection on this lovely desk makeover. 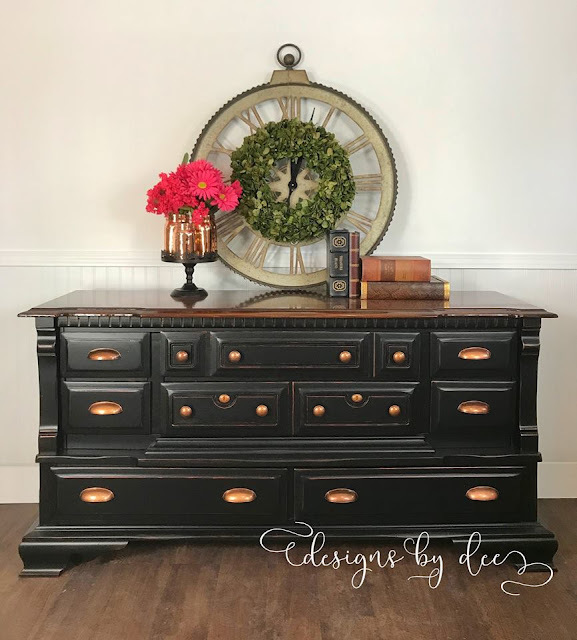 The black glass knobs are the perfect touch! 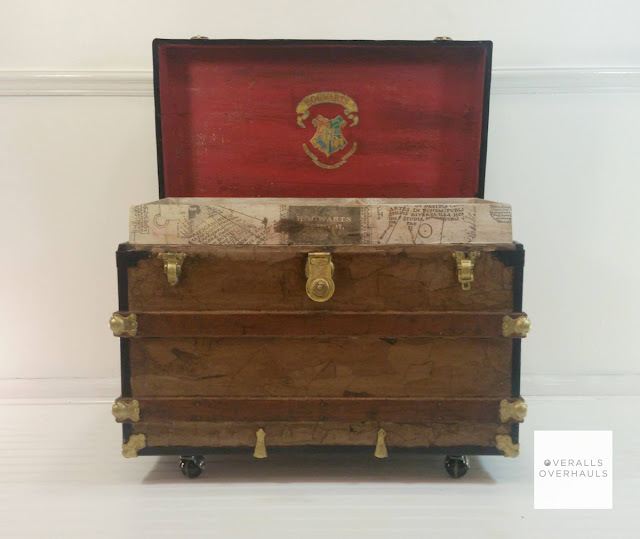 And last but not least is a project from one of our newest group members. Roberta runs Eastern Shore Chic and I'm ecstatic to have her in the group. We keep reeling in the talent! 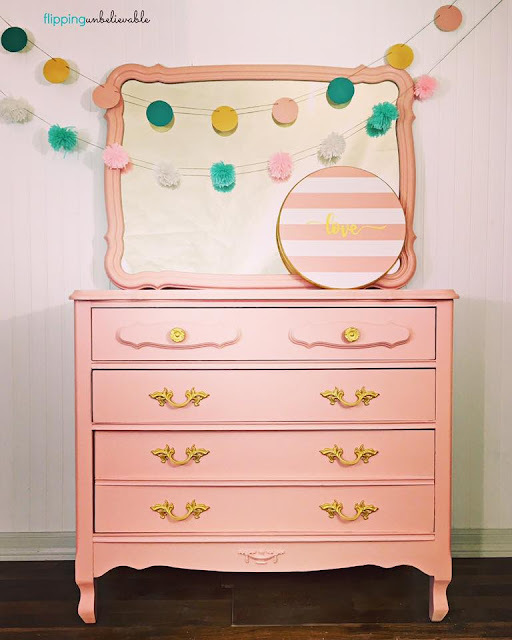 This gorgeous little makeover has a faded paint job inspired by the sunrise! 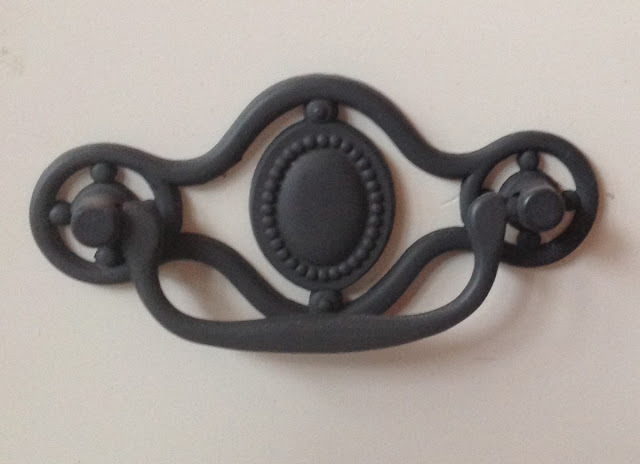 It also features our baroque style hardware that keeps picking up more and more steam! 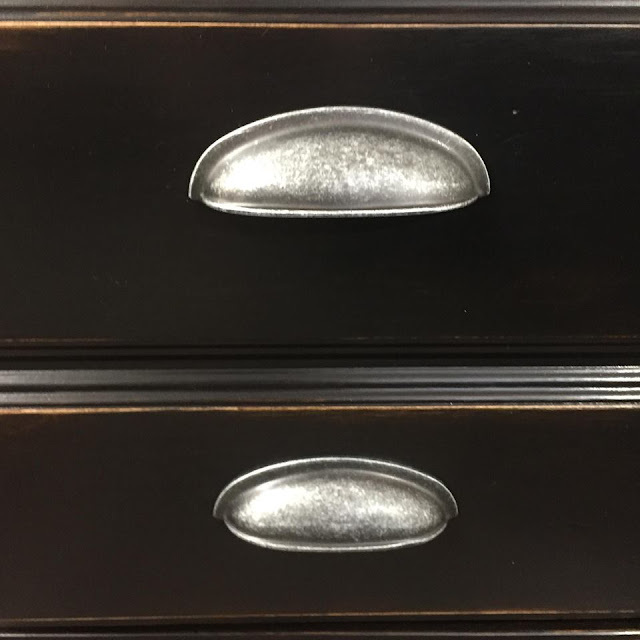 That's all til next time and don't forget to join our mailing list to see more partner and customer projects as well some great deals on knobs. Right now I've got a selection of knobs going out at 50% off each week! I had a late night last night and I'm revved up on strong coffee to pound at this post! Haha, but if the coffee doesn't help then all these wonderful projects from the D. Lawless Hardware Friends Group will surely energize me! The group has been wonderful and I'm driven to work harder and reach higher every day when I see the hard work and enthusiasm of all our friends and business partners out there. So here we go! 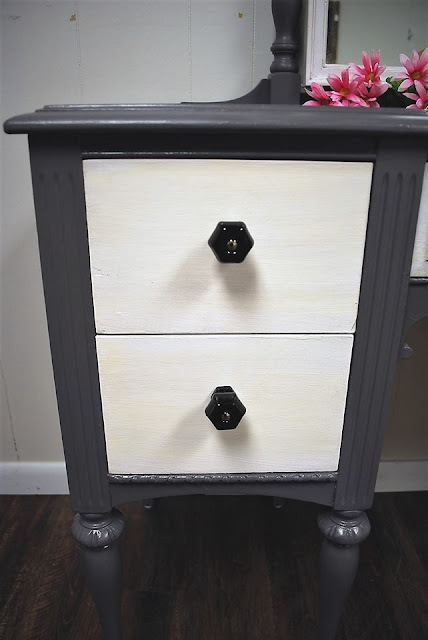 First up is this super cool dresser makeover from Leigh Anne at Hue & Moxie featuring some ceramic white and orange knobs that I gave away a few weeks back looking for photos. And boy did I get photos! This project is perfect for showing off the knobs and will really help our customer imagine what they can do with this admittedly odd knob! I've posted pieces from Donna at ReFab-ulous Furniture before and I'm proud to present this little lingerie dresser (maybe?) 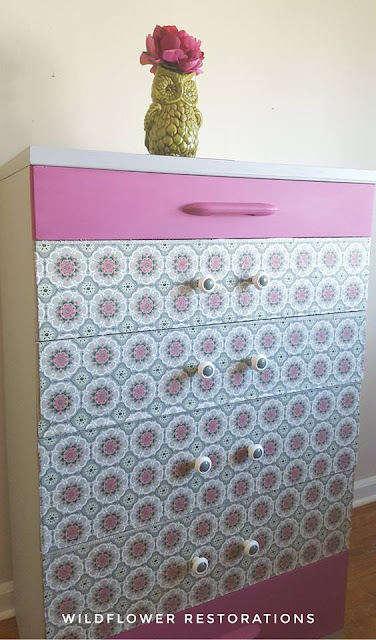 that she used our depression glass knobs on! No matter what you call it, it's cute for sure! This pic definitely helps upgrade our product page! Next up is a first time contributor (fingers crossed for more!) in Celia from Handpainted Rooms! 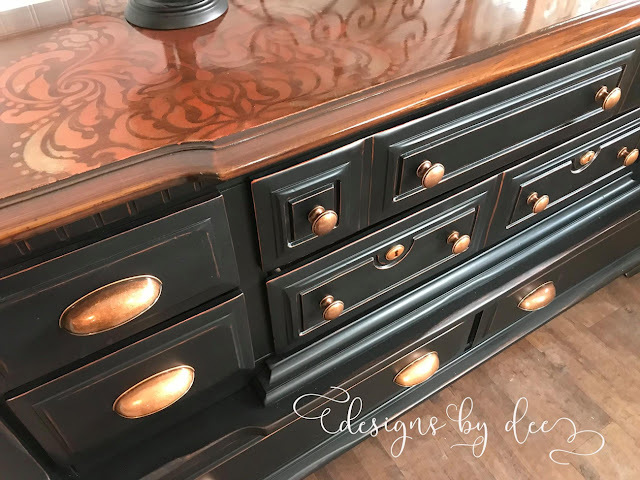 Celia used some of our cut glass knobs on an absolutely stunning vanity she did for a client as well as using some of our appliques on another project! Excited to have her in the group! And back to me being a broken record...LAST BUT NOT LEAST is this lovely dresser from Joy at Joy Treasures! 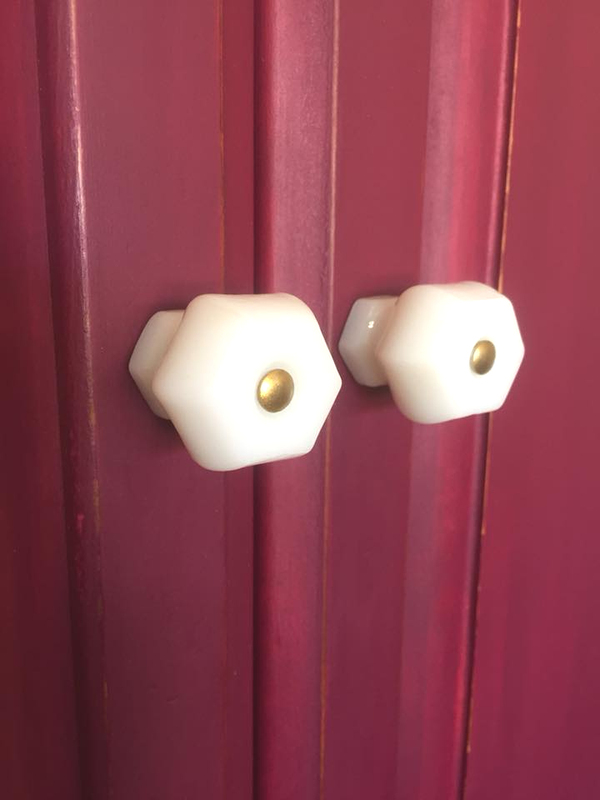 Joy used some of our new collection of matching cup pulls and knobs and will be the first to help me show off the rose patterned ones on the website! 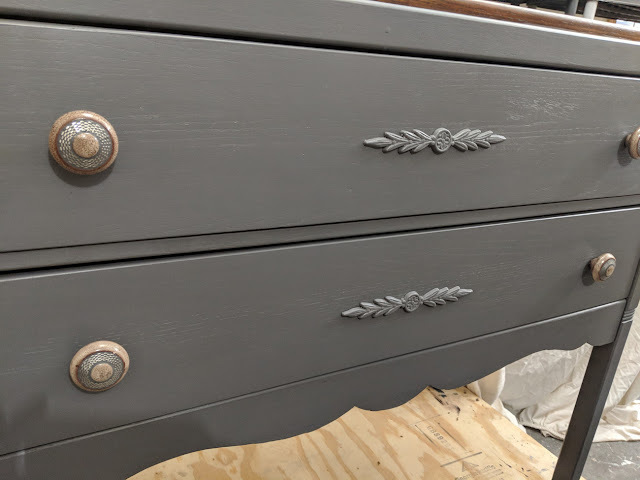 Perfect match of the wood and cup pulls and I couldn't be happier that she's letting me use the photos! That's all until I get five more to share, which at the pace the group has been going will only be a couple of days! What a lucky guy I am! If you'd like to see more work and get great weekly deals, please join the mailing list below. Until next time! 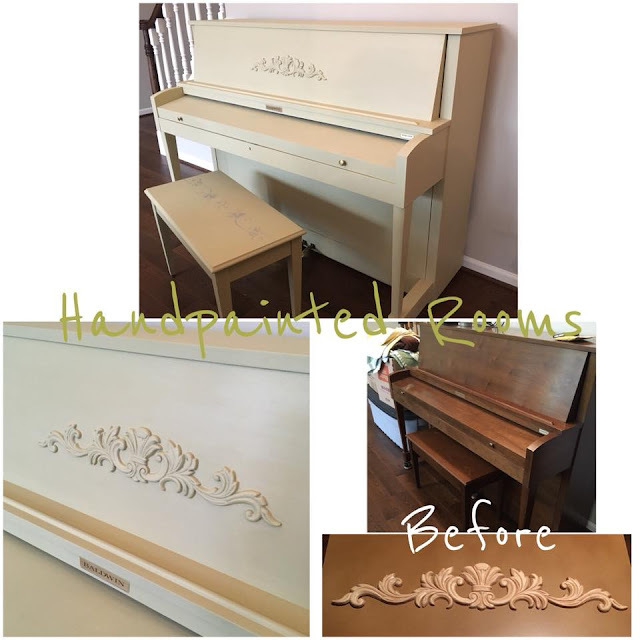 D. Lawless Friends Projects: Painted Pretties Edition! The freeze appears over and the days are getting longer and I'm feeling good! Today I have five more things to feel good about from our customers and group members. 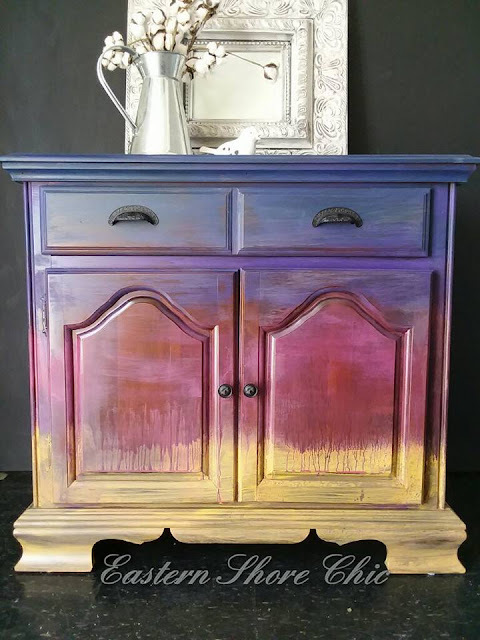 Today's post features five painted furniture projects from five talented people and I'll just jump right into them! 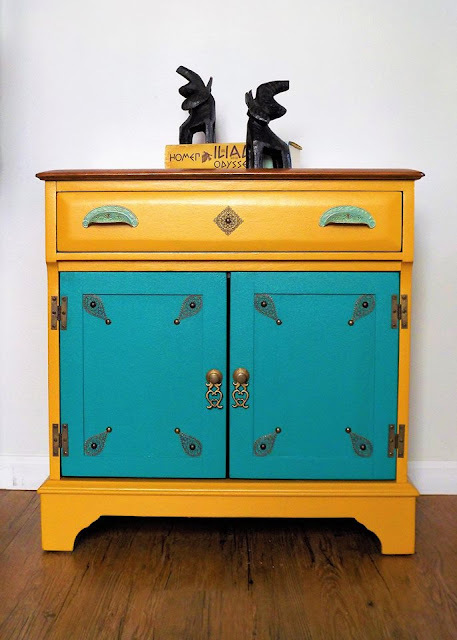 To kick of the post I have this lovely blue hutch from Autumn at Maxwell Refinishing using oil rubbed bronze matching knobs and cup pulls. Great staging a perfect hardware match! Working out of Nolanville they do amazing work and are available for commissioning your next project! This closeup shows off the cup pull and also the wonderful distressed paint job! Next up is a nice dresser makeover from Allison at Allee Cat Designs who added some of our depression glass pulls to top off what is a beautiful white paint job. I also love the stained wood top, really looks great! 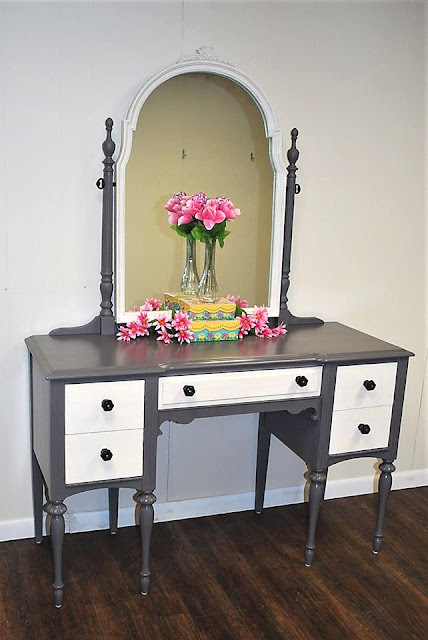 Great contrast between the top and the white painted dresser! It's always exciting to see so many people use our depression glass collection and I'm happy that Merry from The Painted Gecko sent in a project using our pink glass depression knobs and also a second one using some oil rubbed bronze handles. 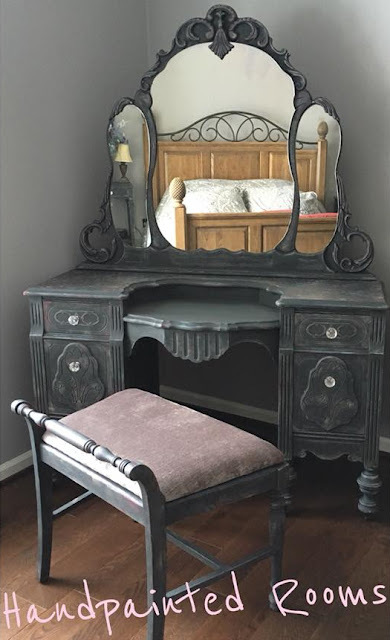 This vanity looks lovely and from the image in their mirror the whole bedroom looks like its beautiful too! 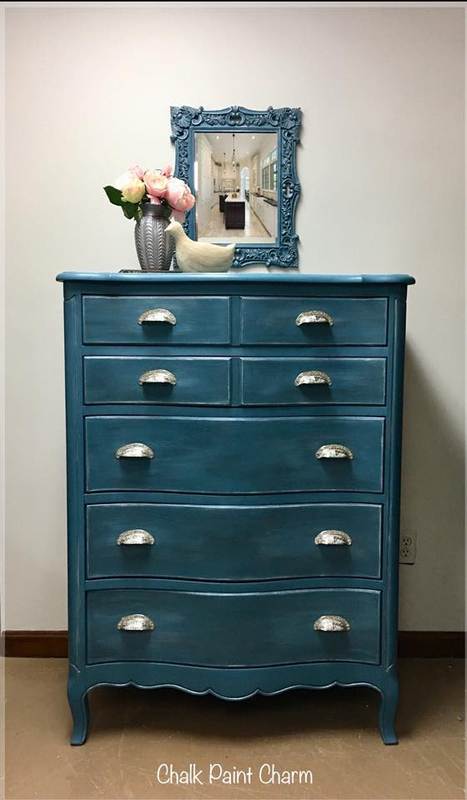 Kim from Sparrow Furniture Restoration & Art used an entire set of our restoration hardware on this blue painted secretary. I'll be adding some of these shots to our Instagram feed soon as I have a little series I've done in the past with #brassandblue as it is one of my all time favorite looks and I think it's really catching on, especially since brass has been trending up again after decades of being "out of style." 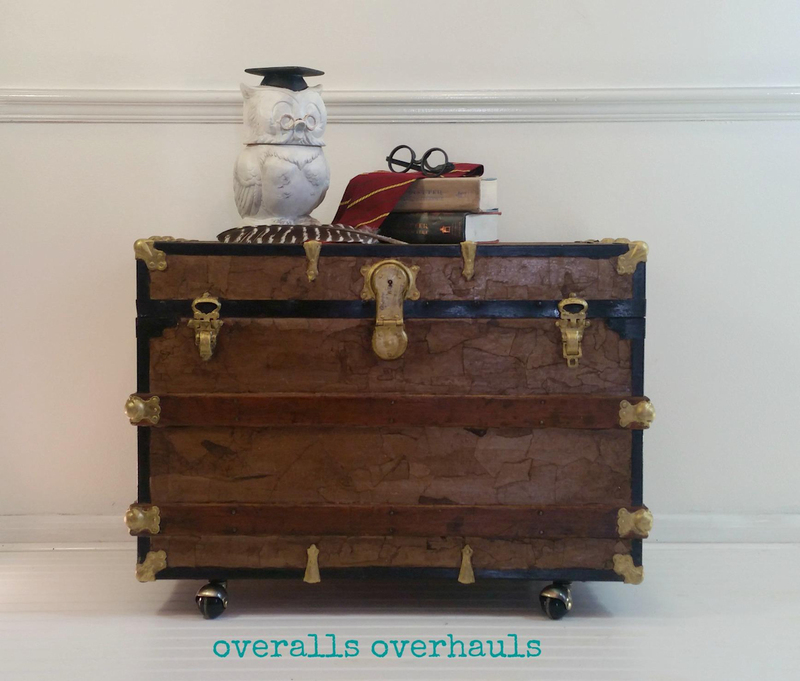 And I'll end on one that's not painted but that I really wanted to include from Amy at Overalls, Overhauls, Inc. using four of our antique brass ball casters. I really love this project. 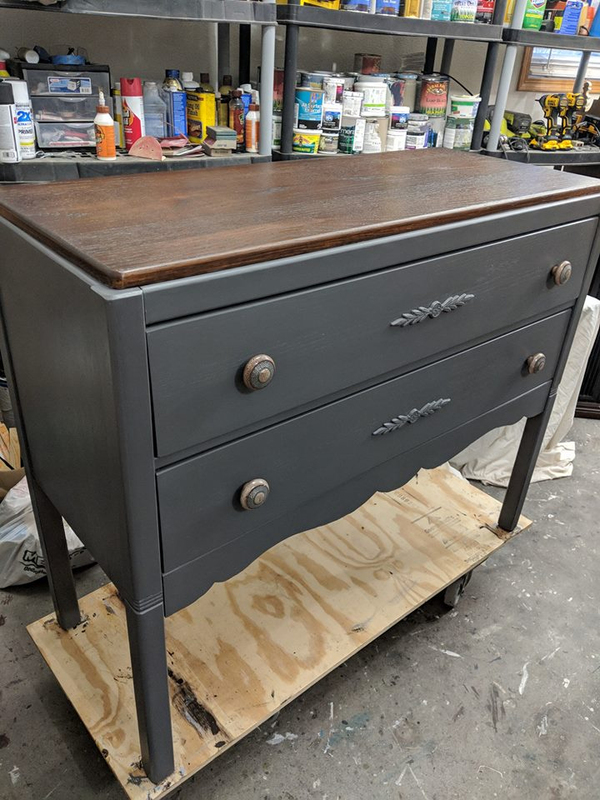 Adding casters to is a great way to update and upgrade a lot of pieces but many people don't think to do so or think it's too complicated. It's not as hard as people imagine and look at the wonderful results! Thank you to all our contributors!!! 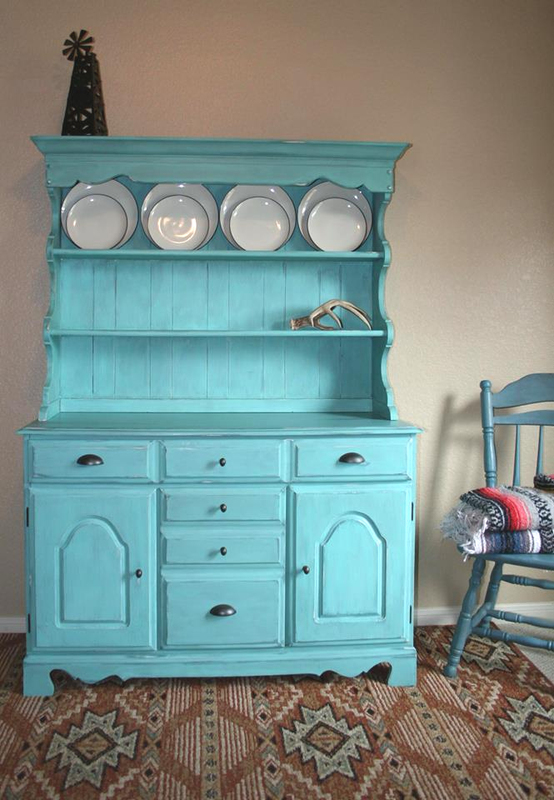 Please join our mailing list for great deals and more beautiful work like this! Well working from home has some major advantages...this week being that I have holed up inside for about 10 straight days to avoid the 0 degree weather Peoria has been having. Seems like it may have broke today finally, but I won't risk it! And even though it's freezing outside, D. Lawless is off to a hot start with the help of our hardware group! 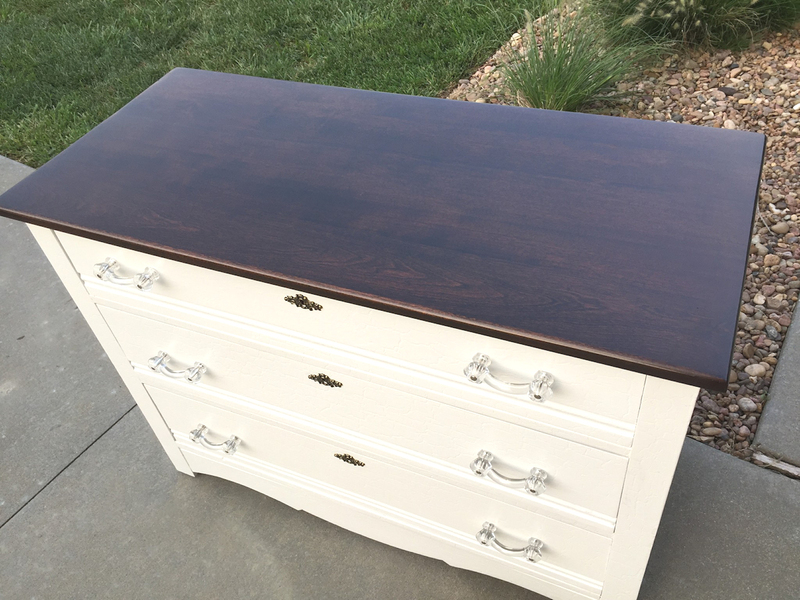 Today I've got a group of beautiful dressers submitted to the group since the new year. We have a lot of new members and several new contributors, so here we go! 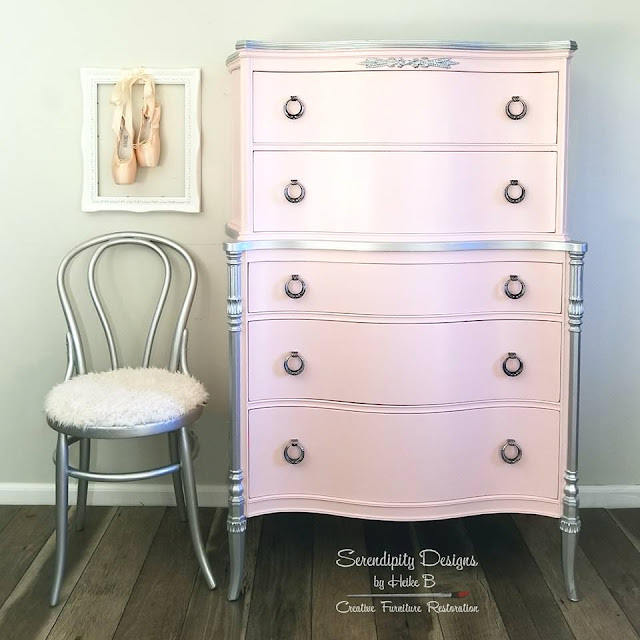 I'll start with two gorgeous dressers from Jennifer who runs J & L Vintage Decor! I couldn't be happier to have her in the group and I very grateful she's allowed me to use her photos to show off the hardware. The first dresser features brass cup pulls, matching knobs, and a wonderful fade on the paint job! 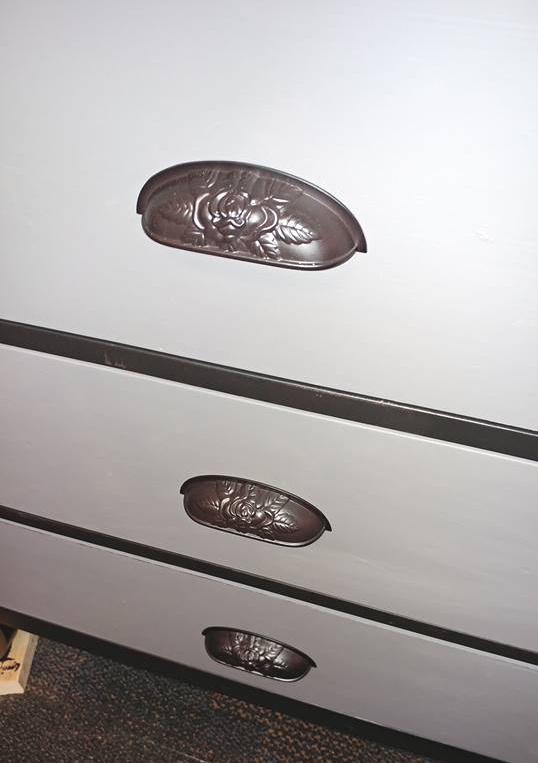 And her second contribution uses these floral nickel bail pulls on a cute green dresser. Great staging for both pieces! 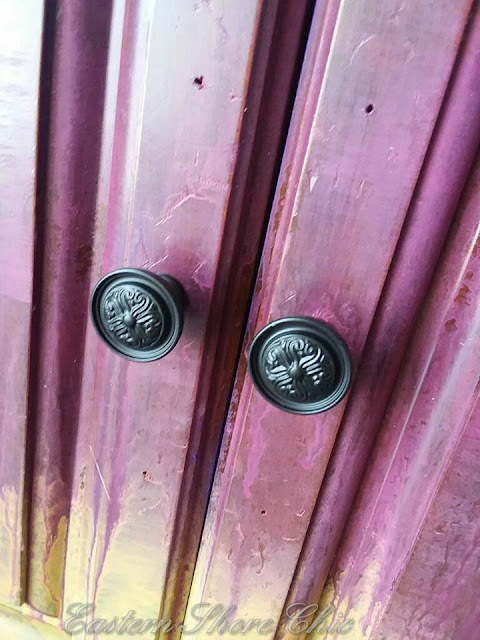 Next up we have a couple of projects using the same star knob and both of them modified the knob by painting! 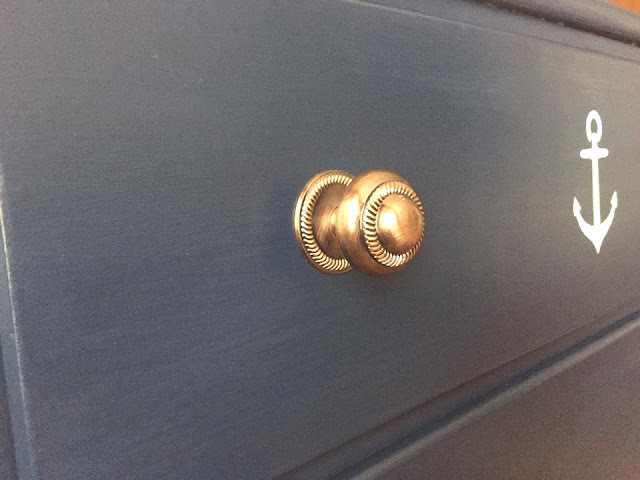 The results are great and to be honest, I think this knob needs painted! 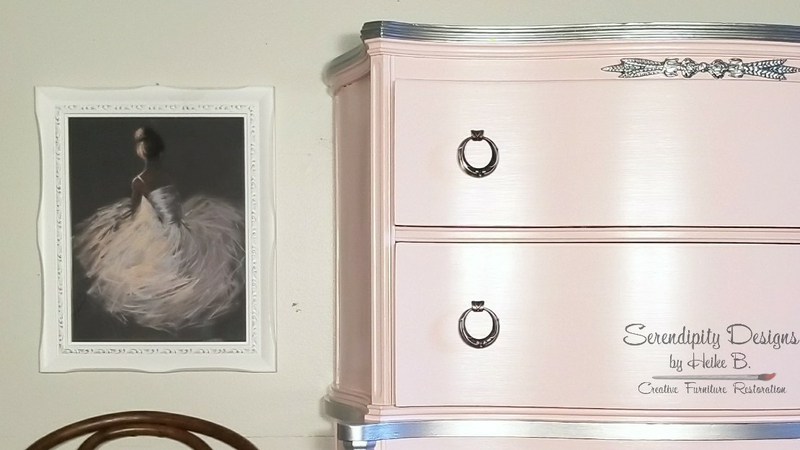 First is one of our best contributors Peggy from Sweet Serendipity on a cool horse themed dresser that the ladies in hardware loved! 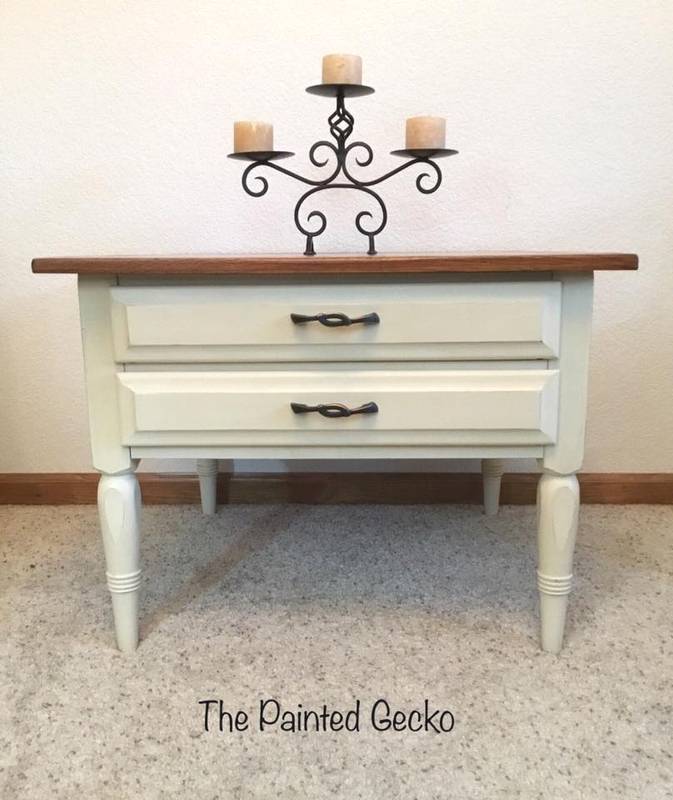 And the second one is a lovely patriotic themed table with the knobs all painted up in red, white, and blue by Jennifer at The Hunny Pot! Jennifer is another first time contributor and I hope I get to see more work in the future. 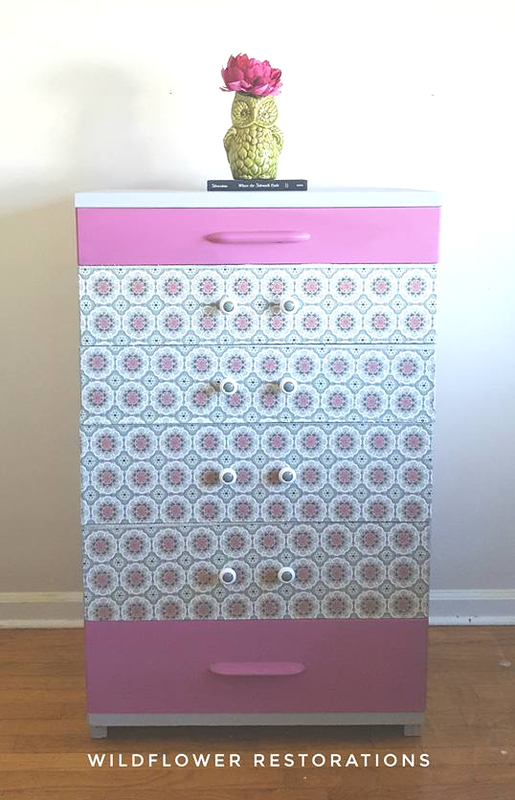 She did a couple of these tables and painted the knobs to match the second one too! Next up is a full bedroom set using some of our bail pulls and each piece is beautiful. Big thanks to Christina at Southern Furniture Flippers for sending these in! I love the light shade of pink in the paint job and the dark bail pulls go great and add some subtle contrast! And...I'm a broken record at the end of these posts...LAST BUT NOT LEAST we have a nice accent table makeover from Tracey at One More Last Chance. She used our Country Store Collection cup pulls for the drawers. This is a really nice update and I'm very pleased to have her in the group! The group has come through again and I get more excited about it's success each day! Please join if you aren't a member or would like some of your work using our products featured. And don't forget to join the mailing list to see more or our partner's work and get some blow out deals I've been sending out this year!